After having spent roughly 40 hours on both Modern Warfare 3 and Battlefield 3, I can finally deliver my verdict, through various categories of my choice. 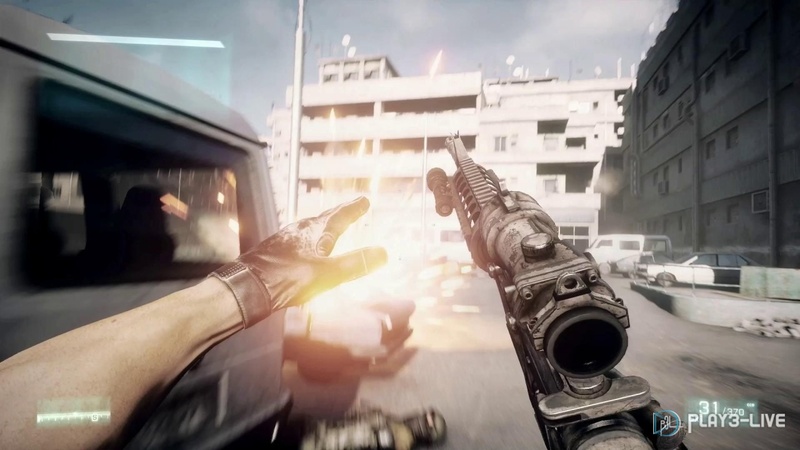 Let’s face it : the campaign in Battlefield 3 isn’t that great. Far too difficult, with an easy mode that looks like Modern Warfare 2 veteran mode. It’s not uncommon to try and retry 5 or 6 times at some checkpoints, which should not happen in an easy mode. In the other hand, Modern Warfare 3 is really pleasant to play in 2nd Class, an intermediate difficulty between easy and normal. Neither too easy nor too difficult, it’s perfect for people like me who handle an M4 like an iron. 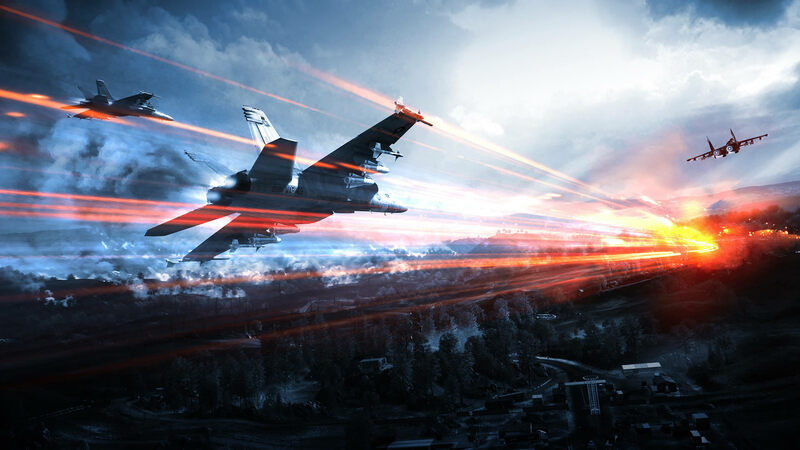 Battlefield 3 is also too linear and doesn’t give you the choise to enjoy the campaign the way you want. 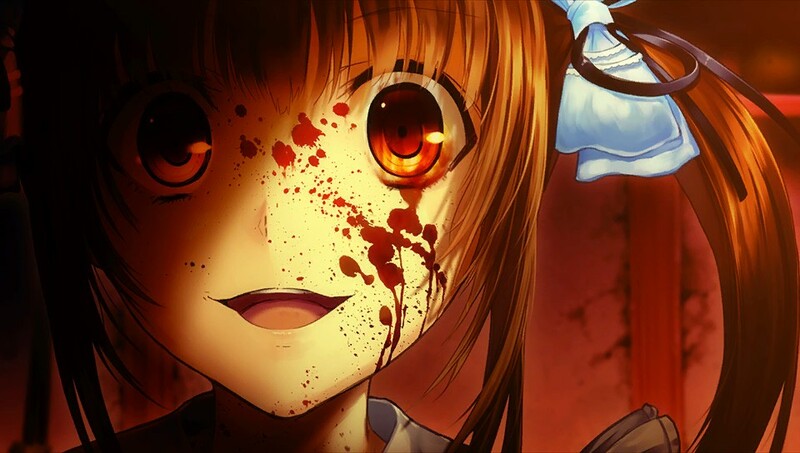 If you try stay even a little from the game « scenario », it’s often game over and 5 minutes to do over. QTE are also a pain because misses are extremely irritating and completely break the flow of the game. Battlefield 3 also lacks variety : except for the mission on board the tank and Night Shift (which is a sniping mission), the solo looks like a long rush with assault rifles. Modern Warfare 3 has plenty of epic scenes (car pursuit, AC-130, chopper gunner, etc.) and most of the time lets you choose the weapon you want to attack with. Up to you to quickscope your way through the Champ de Mars using your beloved MSR or blast your way through it. Still, Battlefield’s scenario felt more coherent and more interesting overall. 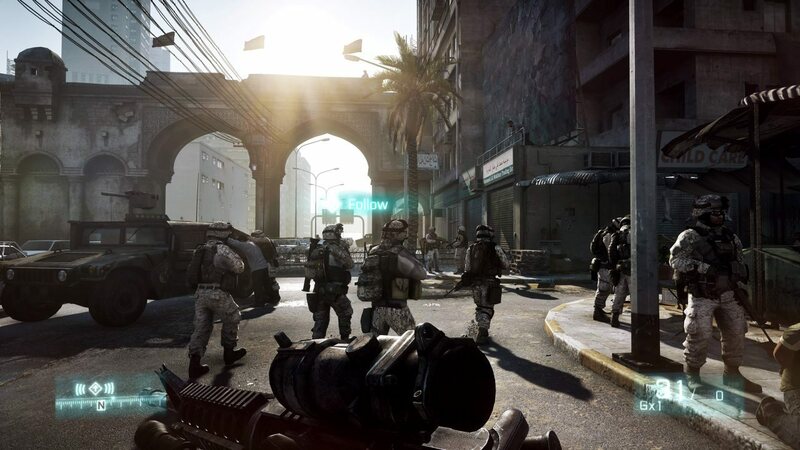 Battlefield 3 makes history with its new engine Frosbite 2. DICE has communicated a lot about it, and that wasn’t just PR talk : FPS have never been so realistic. Weapons are identical to their real counterparts, even in the smallest details. Maps are neat and beautiful. Destruction, explosions and smoke effects are peerless. Battlefield 3 opens an new era in animations : you’re not just a floating weapon anymore, but an soldier who tries to shoot his way out of the battlefield. Jump over a barrier and you’ll see your legs. Fall and you’ll see your hand thrust on the ground to prevent it. Prone and you’ll see your elbows and your weapon from the side. Switching to Modern Warfare 3 after that comes as a shock… maps are empty and roughly made, weapons seem toyish and some firing sounds are odd. It’s not that bad during the campaign, but there is a world of difference between the two multiplayer modes. In fact, MW3 is graphically way below MW2. Battlefield 3 settles it with multiple brilliant details : when you’re aimed at by a weapon equipped with a tactical light or a red dot, you will be blinded. When you have a bipod equipped on your sniper rifle and get prone, your character will take the time to deploy it and place it on the ground! It’s clear that Modern Warfare 3 can’t compete with its competitor in that field. 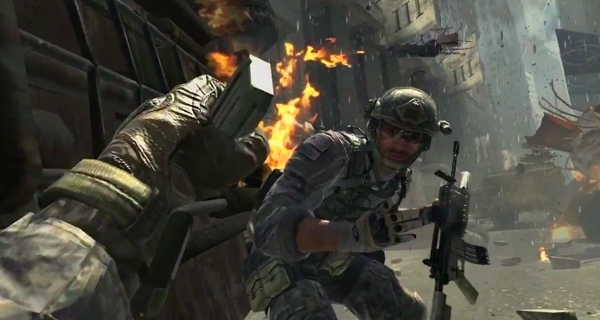 The Battlefield series is famous for its multiplayer. Battlefield 3 takes much more skill than Modern Warfare 3 : you can’t run around and knife people or rush to the frontline because you’re the fastest to pull the trigger. No, in Battlefield 3, you advance slowly but with care, take advantage of your surroundings and your class. I like this emphasis put on realism because it takes the genre a step closer to a real war simulation. Very unlike that, Modern Warfare 3 makes the same mistakes that made Black Ops so disappointing. Automatic weapons are overpowered, which makes the multiplayer a merciless slaughter where strategy no longer exist. Maps are DREADFUL, even worse than in Black Ops which had already set the bar pretty low. 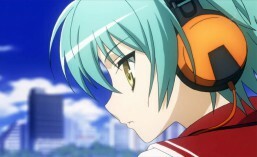 Most of the time, it’s narrow CQC oriented urban environment. In Battlefield 3, maps are designed to fit to every type of player and more important, to make teamplay possible and efficient. Map design also changes depending if you’re playing TDM or Rush. It’s also an element that shows that Battlefield 3 is richer and more varied than its direct competitor. First, Battlefield has vehicles, lots of them and they can nearly be considered a game in the game (you can’t imagine the pleasure of taking on enemy infantry with a T-90). 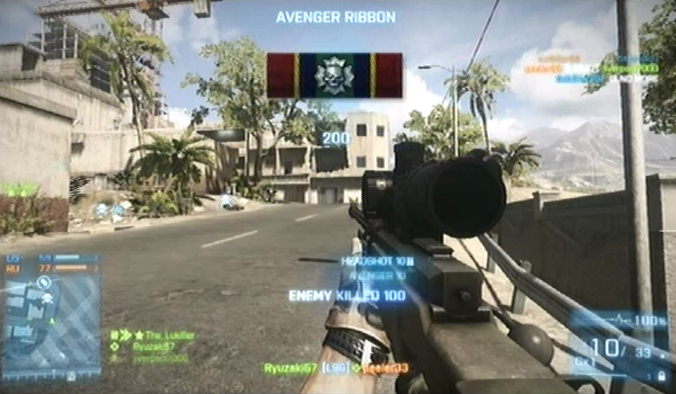 Secondly, you can unlock more than a dozen of accessories for each weapon, twice more than in MW3. Call of Duty Elite, on the top of the numerous issues it has known since launch (I still can’t post on forums), does not provide stellar service. The possibility to review every game in great detail is interesting, but that’s about it. The rest is nothing but classic information on your performance in the game, which was already in Black Ops. The « improve » part is laughable, because the advice given couldn’t be applied in real game, even in a dream. The social part allows you to enter groups (cool…) and participate in official tournaments, in which everyone will choose nooby weapons and just make it worse. Battleblog, Battlefield’s social network, works flawlessly and turns out to be quite user-friendly. There’s of course a lot of information about your performance and your playstyle, but here also you can review every game in detail, with an interesting plus : it shows the best player in some categories such as classes, accuracy, score, etc. I have to point out that Modern Warfare 3 has the video Vault, which allows you to re-watch all your recent games and even publish clips on Facebook. It really is the dreamlike tool for people who make videos like me. But again, Battlefield 3 is the winner. At launch, sniping in Battlefield 3 was a nightmare, which made me choose MW3 at first. As you could expect, DICE didn’t just wait for snipers to switch to the competition. They provided us with two awesome things : the patch and Back to Karkand. Even though it doesn’t give us the one-shot kill we asked for so badly, the update fixes respawn issues to some extend : except for some maps like Kharg Island where respawn is as bad as before, the opposing teams in TM now start at the opposite sides of the map (not always well chosen but…). It makes a huge difference for snipers who can now take the time to aim for the head and cover efficiently their buddies from behind the frontline. It’s ironic, but Modern Warfare 3 is now criticized for respawn issues. It became actually so bad that even by quickscoping perfectly, your score remains low. Back to Karkand gives a new dimension to Battlefield 3. First, it’s FREE with the limited edition (which I got for the same price as the normal one). Secondly, the design of the new maps, in TDM as well as in Rush, is MAGIC! They have plenty of high points to snipe from, and many open areas where enemies do come. Third : it offers the L96. Divine in Black Ops, it became ridiculous in MW3 because of the poor graphics. It’s thus a real pleasure to see it so well made in BF3, with this time a realistic firing sound. Battlefield 3 is also more realistic in the sniper gameplay alone, since you have to find the best spot and take your time to aim, like a real sniper would do. MW3 remains very arcade with a quickscoping far from being boring, but actually necessary to survive in the middle of the noobs. (Far) more beautiful, more intense and now quite fun, Battlefield 3 becomes the new FPS standart against an ageing Call of Duty which took more from Black Ops than from Modern Warfare 2. The world of difference is illustrated by the DLC policies of both publishers : between and brilliant and free Back to Karkand and a 50$-worth Call of Duty Elite there’s little to look forward to, the choice is easily done… My bad to have doubted it, but Battlefield 3 is indeed beyond and above the call. This entry was posted in gaming, review and tagged battlefield, call of duty, fps, modern, PS3, sniper, warfare. Bookmark the permalink.